Ten years ago British rallying got the same kind of boost as that recently experienced by English cricket when, on November 22 1995, Colin McRae captured the title of World Rally Champion by winning the RAC Rally of Great Britain. Ever since the disappearance from the WRC of major British motor manufacturers in the '80s, the UK's rally drivers had shone only intermittently on the WRC scene. Now there was a constellation radiating in their midst. 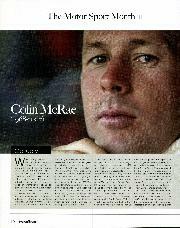 McRae rewrote the history book of British rallying and did it in a bravura style. Until Colin bounded on the scene in the 1990s, Roger Clark's '76 RAC victory was the only WRC event to be won by a British driver in the 20-year period since its inception in 1973. It was not for the sake of trying. We had excellent drivers like Andy Dawson, Malcolm Wilson, Tony Pond and Russell Brookes, but the majority of works drives were going to Scandinavians. 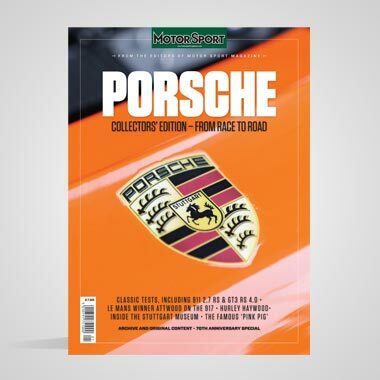 Of course there is a name that has been left out here, that of Jimmy McRae, five times British Rally Champion and runner-up in the European series. McRae came to rallying relatively late in life and showed his skill to be of a very high order but had no easy route to expand his activities outside the UK. In some ways the fact that McRae Snr did not have the chance to shoot for a full WRC programme was probably the key factor in his son winning it more than 10 years on. With his dad rallying almost exclusively in the British Isles, Colin got the chance to become part of the rally scene at a formative age. When barely into his teens McRae Jnr was allowed to have a motorcycle, and two Scottish scrambling titles fell to the lad before he was 14. 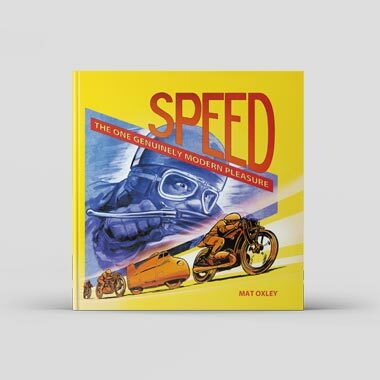 At 16 he discovered that he was eligible to compete in autotests, and the 'bikes were sold to acquire a Mini. In due course he became West Scotland Autotest champion and the same year he did his first rallies in a borrowed Hillman Avenger. With advice from Jimmy, a Sunbeam 1600 was acquired for 1986 and the Colin McRae rally career got under way with an assault on the Scottish championship. And assault it was as the Sunbeam (and the Scottish scenery) bore the brunt of it. "I never had any real tuition from anyone," he explains. "I learned about the handbrake on those autotests. Left-foot braking all started in the Sunbeam. It had weak half-shaft bearings that gave it a lot of knockoff with the brake pads, so I'd use my left foot to pump the pedal. Then I thought, 'Well it's there, why not brake with it all the time?'" He got some help to rally a Vauxhall Nova in 1987 and did his first WRC round by visiting Sweden and making lots of holes in snow banks. The Nova saw him through most of '88, but borrowed Nissans, Peugeots and finally a Ford Sierra Cosworth from RED (with factory blessing) saw him win his first events outright and take home the Scottish title. The outcome was a deal for '89 whereby Colin would join Jimmy in the BRC driving an RED Group N Sierra as opposed to the Group A example pedalled by Dad, while Colin would also get a private Group A car for the National series. Junior opened the season with a stunning drive on the Swedish Rally, where his lowly 15th place at the end was only a result of multiple gearbox problems. This and further National wins were enough to maintain Ford's interest and Colin was offered a Group A Sapphire for 1990. He won the first round of the BRC, the Cartel, but the car met its end in a major accident on the Welsh. From then on it was make-do-and-mend with a variety of Sierras, with which somehow the results seemed to come. For the RAC Rally he was equipped with the new Sierra Cosworth 4x4 and in this car he demonstrated to the world exactly what being Colin McRae was all about. Several excursions left the car looking poorly yet, when the engine was not misfiring, he was the fastest thing on the rally and eventually finished sixth. 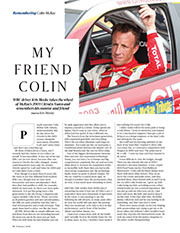 Ford pondered giving Colin a car for 1991 but finally decided that at 22 he was too young for a full works drive. The future looked bleak until a discussion between Jimmy McRae and David Richards resulted in Colin being given a Prodrive Subaru Legacy RS for the BRC. At home he did not disappoint, winning four of the BRC qualifiers and sensibly finishing third on the last round to take the championship. With sponsors happy, Prodrive was able to offer him more of the same for '92 plus five entries on classic WRC events. Colin simply blitzed the BRC with six straight wins and showed he was fully at home in world-class competition by finishing second in Sweden, fourth on the Acropolis and sixth on the RAC. 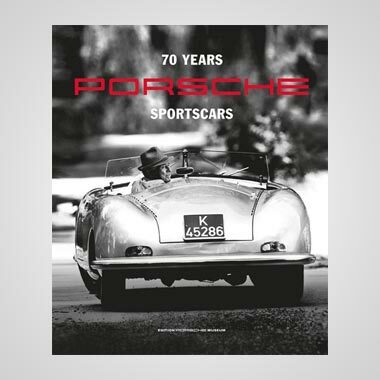 The only blot on the record was his visit to the 1000 Lakes, where he left the road no less than three times — once before the start — and arrived to the finish in eighth place with a car lacking even one straight panel. Neither Subaru nor Prodrive were impressed as the state of the car hardly matched their image of a professional approach to rallying. 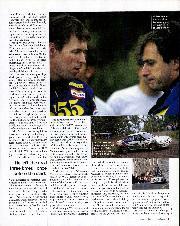 Still, McRae was fast, quick to learn and rapidly establishing a good rapport with the Prodrive engineers. He was not overawed by team-mates such as Markku Alén and Ari Vatanen, and for 1993 earned promotion from the BRC and did eight WRC events including a run on the Safari Rally in a Vivio: the little car lost out but Colin's experience of different conditions and rallies was enhanced. 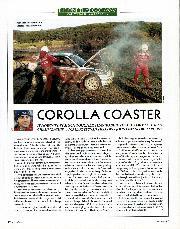 The Acropolis ended with an accident but, on an event that he had done twice before things finally came good, he took his first WRC win in New Zealand. A win on the Malaysian Rally followed and the second half of the season looked much better than the first. He could have won the RAC Rally in an Impreza but for a tree branch in Kielder that pierced the radiator. 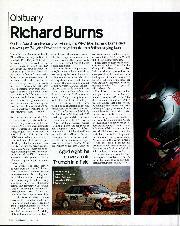 For 1994 he was now number two in the Subaru team to Carlos Sainz and had a full WRC programme. This was still the time of 'rotation', where some events were for manufacturer points only and others driver points only. By mid-season his best result was 10th on the Monte Carlo. A final shunt in Argentina left David Richards apoplectic, but then it was New Zealand again and McRae was magnificent: his control of the event showed maturity far beyond his 26 years. He went on to win Australia, finish fifth at San Remo and then confirm what everyone had known for years — that he could win the RAC Rally. 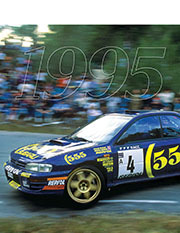 At the start of the 1995 season McRae was entering his third full season of WRC events with the Subaru team and his second at the wheel of the Impreza 555. At one and the same time, he was the apple of Richards's eye and the source of frustration. His team-mate was Sainz who, despite only winning one round in '94, had scored a string of podiums to wind up second in the drivers' championship, two places ahead of the Scot. With just eight WRC rounds and every score counting, the season started badly for McRae. 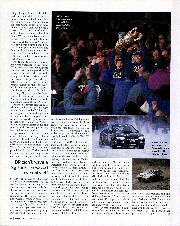 He left the road on the infamous Sisteron stage of the Monte Carlo; Sainz went on to win. Then in Sweden they both had their engines fail, so Tommi Mäkinen now led Sainz by five points and McRae by 25. A muted performance in Portugal saw the young charger finish third, while Sainz took his second win of the season. 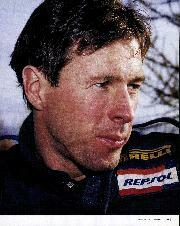 The Spaniard now led the title chase again and was 28 points clear of McRae. In Corsica they finished fourth and fifth respectively so the gap between them widened slightly to 30 points. Richards remembers that: "Colin started the season as the young pretender expected to sit in the shadow of Carlos. By the middle of the year he was mature and reliable." McRae always saw that he and Sainz were "equal in the team — same equipment, same opportunities", but acknowledges that "the priority at the end of the year would depend on results." As soon as the drivers' championship headed to the Antipodes things changed dramatically. Sainz had a mountain-bike accident and missed New Zealand and then retired in Australia. One might have expected McRae to have been more likely to have a spill but he has a theory: "It's a question of natural ability. I knew how to fall and he didn't." With a first in New Zealand followed by a second place in Australia, McRae jumped Sainz and was now seven points behind the new leader, Juha Kankkunen, and five ahead of his team-mate. Two events remained: Catalunya and the RAC, each the home event for one of the Subaru drivers. For Richards there were several problems weighing on his mind: "The real issue was winning the manufacturers' championship for Subaru. It was clear that we could also get a Subaru driver to win the drivers' championship, though before Catalunya that was not certain thanks to the Toyotas of Kankkunen and (Didier) Auriol." Had he known that at the end of Catalunya Toyota would be found guilty of cheating and banned for '96, the situation during the rally might have been different. As it was, Kankkunen's Toyota left the road while in the lead just past halfway, leaving Sainz ahead of McRae by a mere eight seconds. At that point it seemed sensible to impose team orders and ask the pair to finish in that order, thus giving Subaru maximum manufacturer points and putting both drivers equal at the head of the driver standings. A press release was issued to that effect. Colin was unhappy. "I had a meeting with Colin and Jimmy that night and made it clear that I wanted the drivers to hold position," says Richards. "I'm not sure what happened but I think Carlos wound Colin up the next morning. It was quite clever really as it could easily be a let-out for Carlos if he failed to win the championship." Colin recalls: "I never actually agreed to the team order. Both of us had a fair chance for the title. Carlos never said anything because of course it favoured him. If I were in that situation where a younger driver was beating me, I would support us having a straight fight. You very rarely find that where you have two drivers who are in the groove and fighting that they crash. Normally one wins and the other doesn't. Driving when you are not focused is more likely to result in an accident. In any case, I was dead sure that if Carlos was leading the RAC Rally and needed to let me past to win the championship it would be World War III and no prisoners..."
Whatever, McRae flew on the third and final leg. Sainz's advantage disappeared and the team made several frantic attempts, including putting two team members in the middle of the road on the last special stage — but not slowing McRae one iota — to address the problem. It was left for a final showdown before the last control. Richards again: "I wasn't prepared to give Carlos any excuse about not winning the championship. So Colin and I had a real shindig in the main street of Lloret de Mar with all the toys out of the pram. He did what I wanted but it was with great reluctance." Colin confirms that "DR didn't wave a big stick; he waved my contract. It was made clear that if I didn't take the time penalty and let Carlos win, I was going no further with Subaru." Surprisingly, by the start of the RAC Rally both drivers seemed to have recovered their amiability, but Richards did have frequent chats with his young star: "I kept reminding him that all he needed was a clean run: no need to use his raw speed." With Toyota excluded from the WRC and both Fords and Mitsubishis falling by the wayside early on, it was a straight fight for the drivers' title. The initial advantage went to McRae when Sainz damaged his radiator, but then the Scot had a puncture and Sainz led. 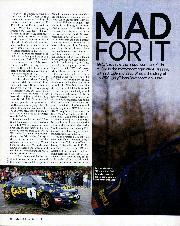 From then on it was catch-up for McRae, who took 18 fastest times to Sainz's five. The gap at the end was half a minute between them. Britain had a new World Champion. What does the man himself think today of that turbulent season? "It was pretty unbelievable when we did it but I look back and still find it amazing what we achieved that year. Perhaps the WRC is getting harder to win but it was certainly tough then. I would have liked to have won the title again — we came closest in 1997 — but perhaps that possibility is still open..."